Shanghai has distinct seasons: chilly winters, summers with intense heat and humidity and shoulder seasons in autumn and spring when the weather, prices and crowds can be ideal. It has a subtropical maritime monsoon climate. Being a business city you won't find summer hotel prices raise too much or attractions closing down in the winter as you might in a vacation city. In fact the best deals can often be found on the local tour companies over the weekend. 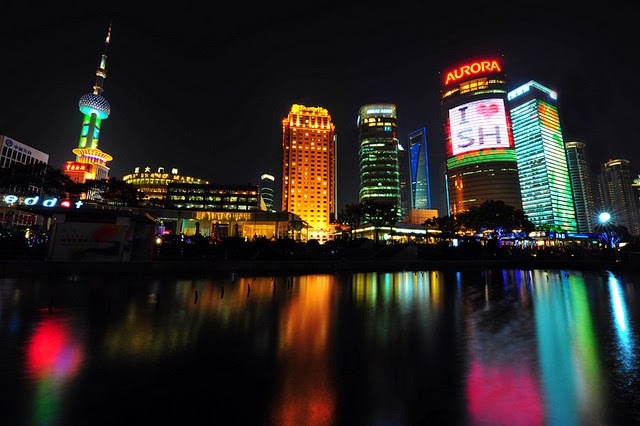 October to November and April to May tend to be the best times to visit Shanghai but the city is a popular destination from May to October. The gorgeous flowers bloom in Shanghai's parks as the weather remains warm enough to enjoy the outdoors but chilly at night. Spring has many festivals and this brings in the crowds and shoots the hotel rates up during these select peak periods although the rest of the season prices are reasonable. During the spring you can enjoy the Qingming Festival in April and the May Day celebrations on 1st May. Despite being the peak travel season summer is not as ideal as it might seem. The combination of hot weather and the occasional down pour makes this a sticky time to be in Shanghai. The city fills up with vacationers, hotel rates are often jacked up and you may end up waiting in lines at attractions. July and August are the hottest months. An umbrella is a good idea to protect you from the sun and the potential rain. Towards the end of summer in late-August and September Shanghai has its highest rain fall of the year and the possibility of typhoons. If you are going to visit Shanghai in summer aim for June when you can enjoy the Dragon Boat Festival and International Children's Day. When the summer rains, heat, high hotel rates and crowds have eased off you can enjoy one of the best seasons in Shanghai. Temperatures are cool but not cold. Although crowds and prices will intensify during the first week of October for the public holidays it is still a unique time to visit the city. The parks of Shanghai are a blaze with color as the leaves turn red, orange and yellow. The weather in winter is cold with evening temperatures sometimes too cold to go out. Late January to Early February is the coldest period. There are fewer daylight hours and the city seems subdued. Although it may be cold the city does lack the humidity and rainfall that often plagues the rest of the year. Despite being winter December and January are Shanghai's driest months. This is also a great season for bargain hunters looking for cheap hotel deals. Don't miss the spectacular Chinese New Year celebrations towards the end of January and beginning of February.